What do you think of when the word “sushi” comes to mind? Fish, sticky rice, wasabi, … but probably not Nike kicks, Star Wars storm troopers or Elvis Presley. For Yujia Hu, a chef at Milan-based Sakana Sushi restaurant, the world is his oyster when it comes to creating objects or people out of sushi. 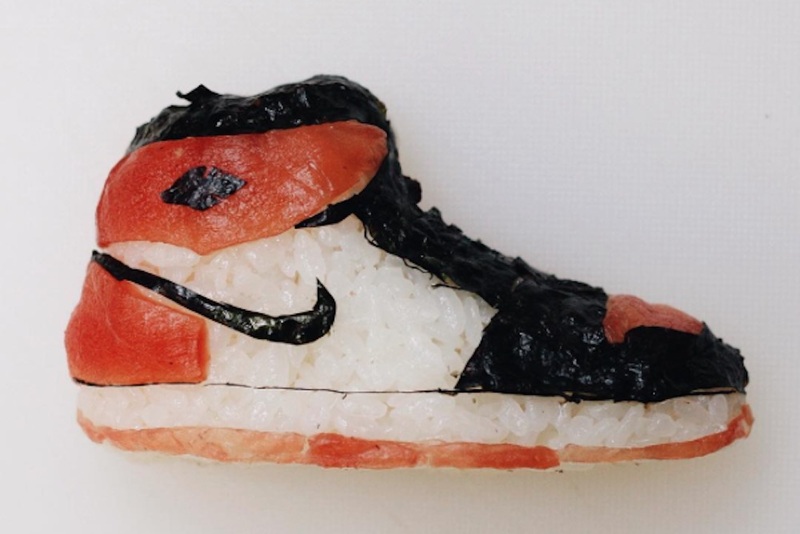 From sneakers to movie stars, Hu takes traditional sushi ingredients like seaweed, rice, salmon and tuna and turns it into mini-art on his Instagram account. While some of his most popular works include a sushi Wolverine, Hu also makes a lot of sushi footwear, creating works designed to look like Supreme, Bathing Ape, Nike, Adidas and more. These obscure sushi creations push the limits of what chefs can create with a little imagination and the right ingredients.